Z06, Fuelie, Big-Brake, Airbox, CERV, Grand Sport, Mako Shark, L-88, ZL-1… The list of rare and special Corvettes isn’t exactly short. Special options, design studies, concepts, and competition models have always been a big part of the Corvette’s mystique. Even in 1953, the sports car’s first year of production, Chevy displayed the Motorama Nomad Dream Wagon, the Motorama Corvair Dream Coupe, and the Motorama Dream Hardtop right alongside the production Corvette. Each predicting the designs of future Corvettes, as well as other Chevy models. Created over the last 65 years by designers like Harley Earl, Bill Mitchell, Zora Arkus-Dontov, Ed Cole, and others, the vast majority of these specials are practically household names. But there are some that have slipped through the cracks of pop culture and more than a few that have even slid past many in the Corvette community. Here are five of those rare and special American dream cars their due. Before the Corvette SS. Before the Sting Ray Racer. Before fuel injection became a factory option in 1957, there was the SR-2. Created for road racer Jerry Earl, son of GM’s design chief Harley Earl who was racing a Ferrari at the time, the blue SR-2 was the first purpose-built Corvette race car. It was constructed from a production Corvette in the spring of 1956 with a longer nose, cove scoops, and a unique longitudinally-mounted low rear fin that extended out past its rear bumpers. That fall a second SR-2 was built for designer Bill Mitchell, painted red and featuring a high-fin design which was eventually adapted to Earl’s car. In 1957, a third show car was constructed with a low shark fin, wire wheels, and a stainless hardtop. Also in ’57, the small-blocks lost their dual quad carbs and the SR-2 racers became the first fuel-injected Corvettes. These cars were raced at Daytona, Sebring, and Road America, competing against cars from Ferrari, Jaguar, Mercedes, and Maserati. Mitchell, who would later replace Earl as GM’s design chief, also liked to drive his on the street. Both SR-2 race cars survive today, however, neither is part of the GM Heritage Collection. SR2 #1 was sold on eBay in 2015 for $6,885,000. 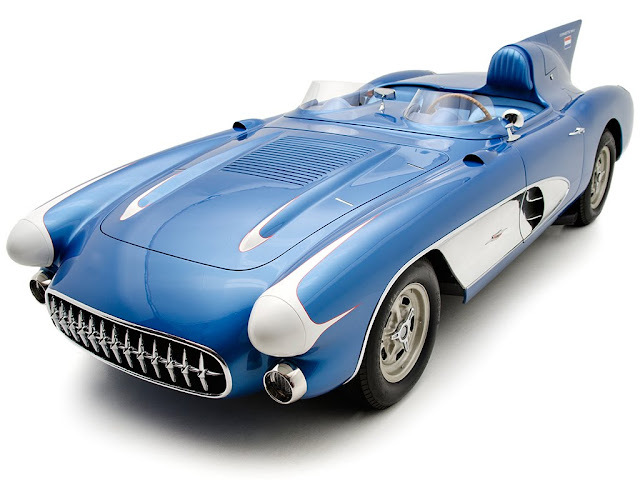 Created as the personal plaything of Bill Mitchell, who was about to replace Harley Earl as the Grand Poobah of GM styling, this customized 1958 Corvette road car debuted right alongside the Sting Ray racer at Marlboro in early 1959. “The long-nosed, duck-tailed Corvette was eventually designated the XP-700, making it the first in a completely new series of design studies under the Mitchell regime,” Karl Ludvigsen wrote in his 1973 book Corvette: America’s Star Spangled Sports Car. Fuel injected and topped with a clear hardtop with a European double-bubble shape, the XP-700 rode on wire wheels and had side exhaust. Its periscope rearview mirror was radical, even for Mitchell, who also scooped its quarter panels and added slots behind its front tires, a prediction of the design used in the mid-1960s. Elements of the car’s grille were also used on the production 1961 Corvette as was the XP-700’s rear end design, a shape that would last through 1967. The spine running through the center of its hardtop predicted the split-window coupe of ’63. The XP-700 was shown in red and silver, which is how it appears in a short Youtube video and most historical photos. This car inspired many custom Corvettes throughout the 1960s, including a few from George Barris. Later its chassis was used to build the 1961 Mako Shark, which remains in the GM Heritage Collection. In 1967, Joel Rosen’s Motion Performance in Baldwin, Long Island, New York, partnered with local Baldwin Chevrolet and started swapping 427-cubic-inch big-blocks in Chevy’s new Camaro. By 1968 Baldwin-Motion machines, which also included Chevelles and other Chevy models, had earned a reputation as some of the baddest street and track cars in the nation. Rosen had also tuned some mid-year Corvettes, as well as a 427 Cobra, with great success, and quickly laid his hands on one of the first redesigned 1968 Corvettes to hit Baldwin’s inventory, building a dyno-tuned SS-427 model from a tri-power International Blue convertible. 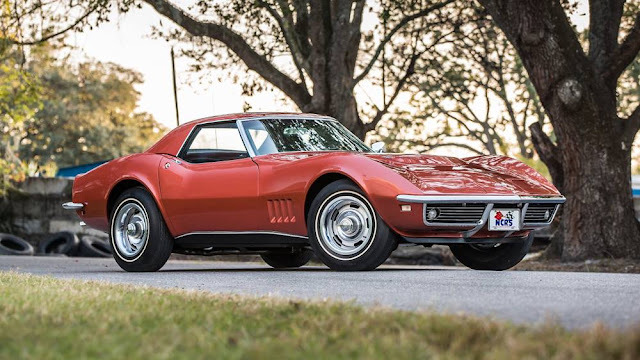 Later in ’68, Rosen upped the play offering a higher performance Mark III Corvette. “We were prepared to build and deliver street/strip, strip-only, and road race Mark III Corvettes fitted with the latest experimental factory and custom race equipment,” he told author Martyn L. Schorr for his book Motion Performance: Tales of a Muscle Car Builder. “And each up-level Mark III SS-427 Corvette will be delivered with a 160 mph written guarantee.” The first was a Tuxedo Black coupe. After building just a few, none of which are known to survive today, Rosen replaced it with the more aggressive and more heavily modified Phase III SS-427 model. 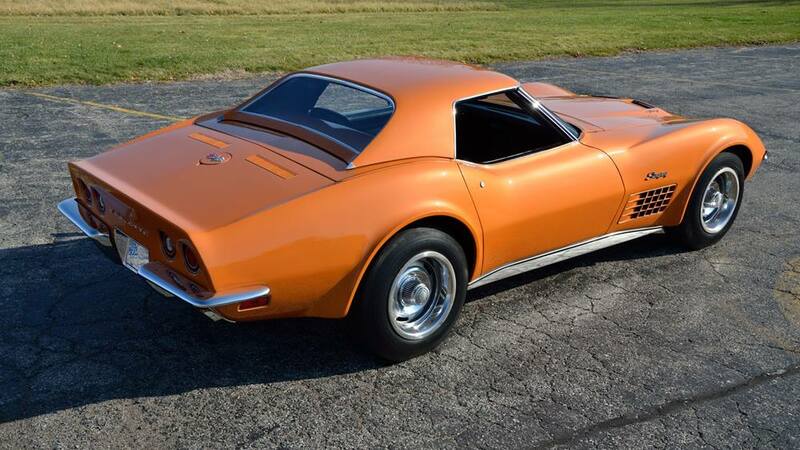 In 1969, Rosen added custom bodywork to the menu, eliminating the Corvette’s pop-up headlights and replacing its upright rear glass with a fastback with improved luggage space. He called this Corvette the Phase III GT. But Motion would build your Corvette, or any Chevy, any way you like. Each was custom ordered by the customer and some received redesigned taillights, fender flares, scoops, and radical paint jobs. They were produced in very small numbers. According to Schorr Motion built approximately a dozen Phase III GT Corvettes between 1968–72, all but one powered by 427 or 454 big-blocks. Today, surviving cars are prized possessions. In the late 1960s, with free love in the air and youthful rebellion in the streets, you could walk into a Chevy dealer and buy an L-88 427 Corvette with 12.5:1 compression, a solid-lifter cam, aluminum heads, and a Holley carburetor that drank like a sailor on leave. Chevy fooled nobody with the big-block’s 430-hp rating. It was the ultimate, everyone knew it, and today they are some of the most valuable Corvettes on the planet. But the L-88 wasn’t the only Corvette available from 1967–69 with aluminum heads. Savvy and well-funded buyers could check the L89 option and add aluminum heads to their L71 435-hp triple-carbureted 427. The expensive option cost $947.90 in 1967, but the price dropped to $805.75 in 1968 and $832.05 in ’69. The get wasn’t additional power, as the aluminum heads were identical to the standard iron units. Compression remained 11:1. 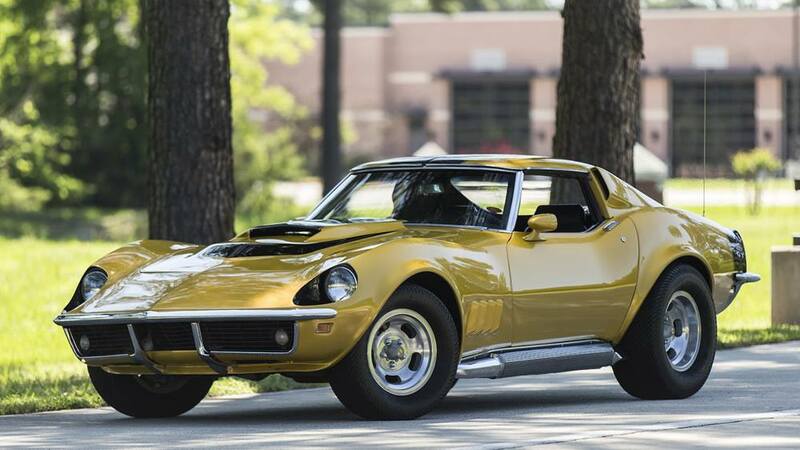 But the change in material shaved about 75 pounds from the engine making the big-block much closer to the weight of a small-block, which improved the Corvette’s power-to-weight ratio, balance, and handling. 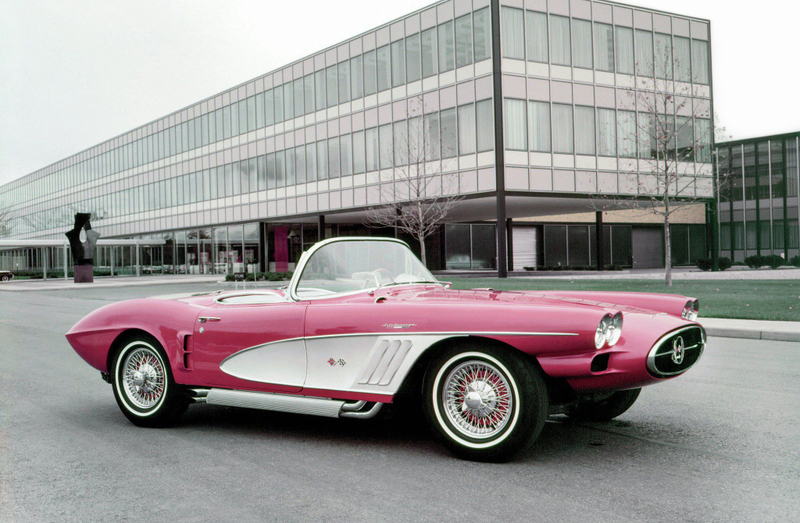 In 1967, Chevy built just 16 Corvettes with the L89 option, but production jumped in 1968 to 624 cars and 390 in 1969. Beginning in 1970 every big-block, now 454 cubic inches, used cast iron cylinder heads, except for the LS6 offered only in 1971. Chevy is reusing the name ZR1 for its new ultimate Corvette, a 755-hp monster introduced for the 2019 model year. It’s the second ZR1 to get a supercharged engine, the first being sold from 2009–13 and the second to use the name without a hyphen. In 1990, Chevy introduced the Corvette ZR-1 with a 32-valve, 5.7-liter V-8, and the limited-edition model is still the only Corvette ever sold with a double-overhead-cam engine. But the first ZR-1 dates back to 1970. For model year 1971 Chevy offered the Corvette with two special racing packages, ZR-1 with the 330-hp LT-1 small-block and ZR-2 with a 425-hp LS6 454 big-block, both with a Muncie M-22 rock-crusher four-speed. The packages added the stiffer F41 suspension, the J56 heavy duty brake package, and unshrouded aluminum radiators. These cars could not be ordered with power accessories or a radio. Remember, they were supposed to go racing. These were expensive packages, adding option code RPO ZR-1 to a Corvette cost $1,010, and the ZR-2 package was $1,747. Only 25 ZR-1s were sold in 1970, while eight were sold in 1971 and 20 in 1972. The ZR-2 was a one year only deal with Chevy selling 12 including 2 convertibles. Today surviving cars are worth high six figures and rarely change hands.